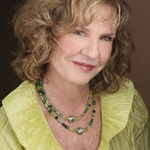 In this fascinating Beyond Lip Service Radio show, Fawn Christianson from www.PowerandGraceInstitute.com shows us how to demystify the repeating self-sabotaging and unconscious money habits that can keep people trapped. Money can have intense emotions around it, usually from childhood. With that in mind, she has a simple 4 step process to undercover why we do what we do with money. Step One: Look at last month’s bank statement. For each transaction, write out the answer to “I spent that money because I was… it could be paying the light bill or scared that I would not look good at the New Years Eve party. Get real about this. What fears are “making you” spend money? Step Two: Answer truthfully, What I really wanted was…. It could be to make a good impression at the party, make Amy jealous, etc…. Get real here too!! Step Three: My underlying need was for…. It could be acceptance, love, security, etc. Step Four: Write three creative ways you can get that need met without spending money. In this interesting Beyond Lip Service Show, Fawn shared the money is an energy form that can drain us or fill us. It’s up to us to decide which we want and get real with our money in 2011. Thanks Fawn.